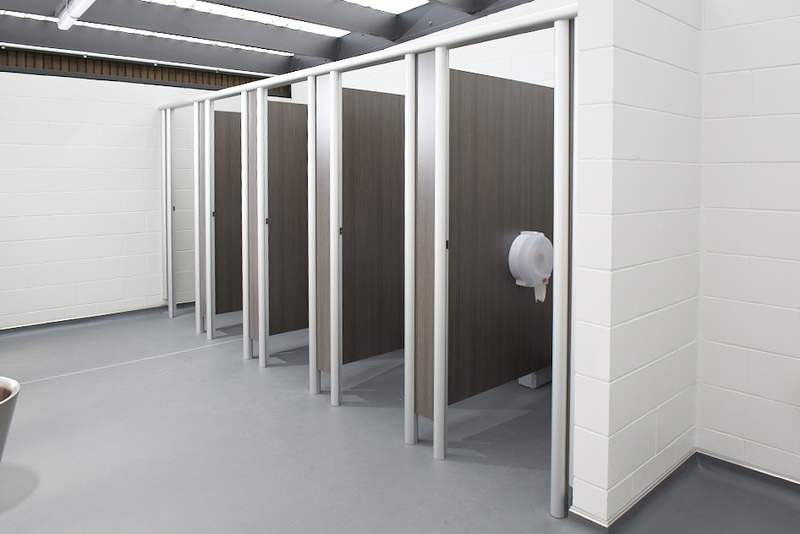 Resco’s Series 7000 partitioning system and Multicom wall lining – the solid choice for a busy Mangere pool complex. The Moana-Nui-a-Kiwa Pool and Leisure Centre sits in the heart of Mangere; a large and busy complex, it includes indoor and outdoor pools that cater for the whole community. 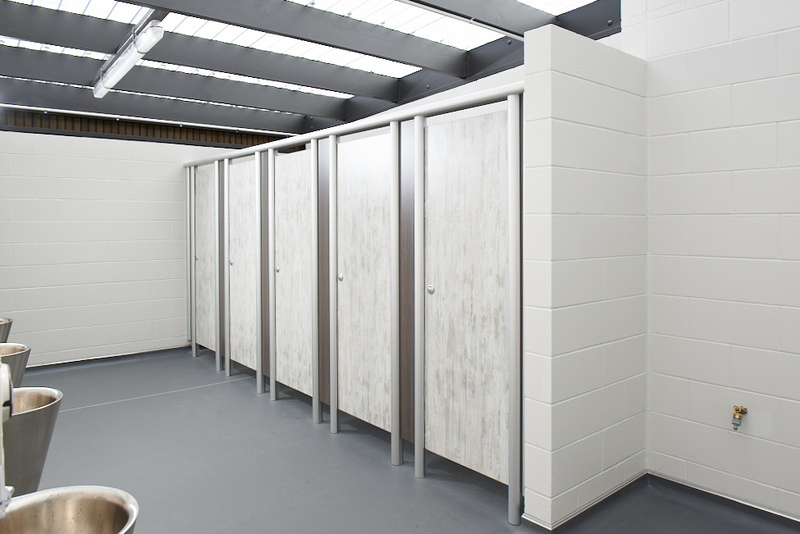 A recent rebuild of the outdoor pool’s changing rooms called for the most robust and durable partitioning and wall lining system available. 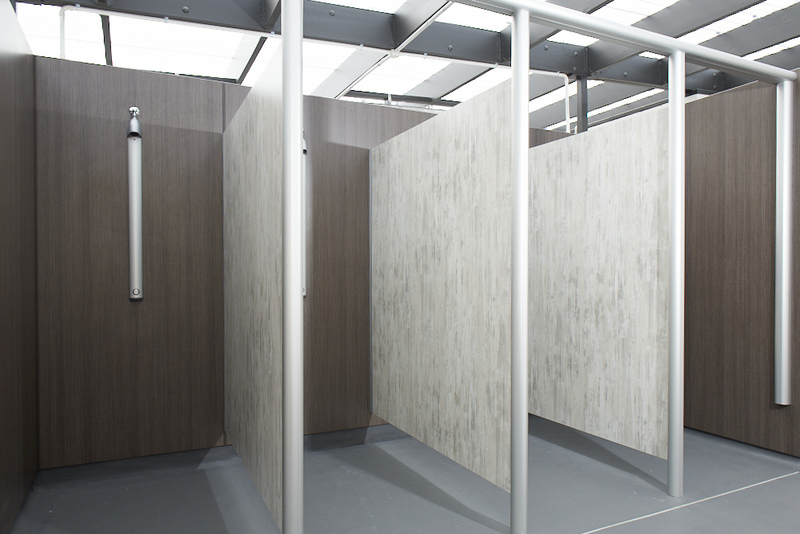 The pre-finished solid core Compact Laminate of Resco’s Series 7000 partitioning system and Multicom wall lining provided the necessary strength and resilience for the project. “Resco’s systems have been used before at the complex, so we knew they could withstand the hard knocks and high use at the facility,” says Centre Manager Waitangi Mika. 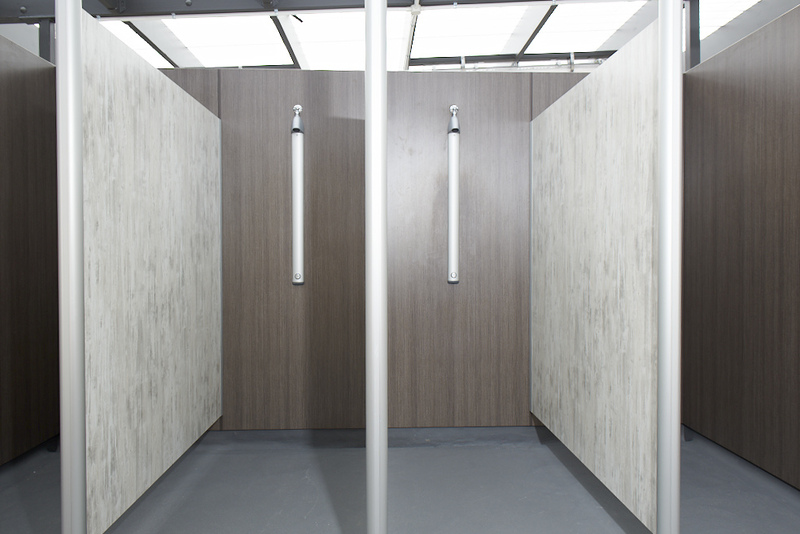 “The showers in the indoor changing rooms are at least 12 years old and still look good,” he adds. 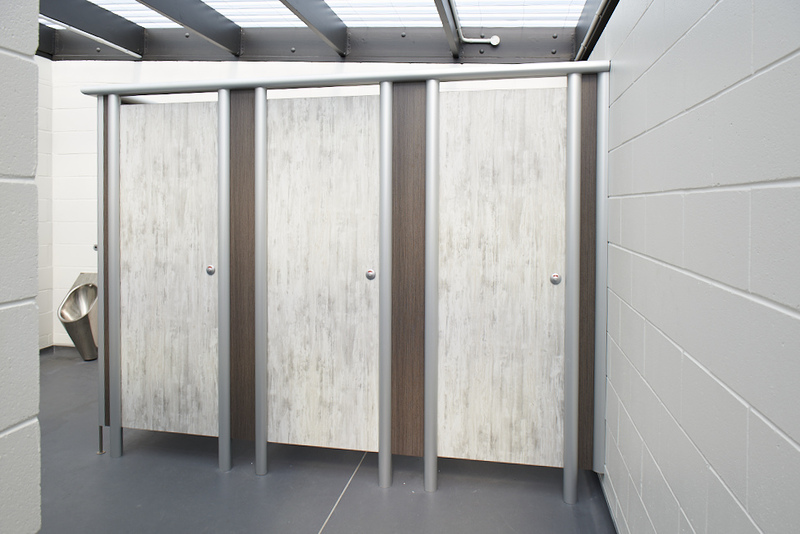 “All Resco’s pre-finished panels are water, impact and graffiti resistant and extremely low maintenance,” explains Resco Product Specialist Troy Henriques. “The Series 7000 is our most robust system, and is held together with an extremely strong and prominent aluminium framework that makes it structurally very rigid – and a popular choice with councils and sports facilities,” Troy adds. 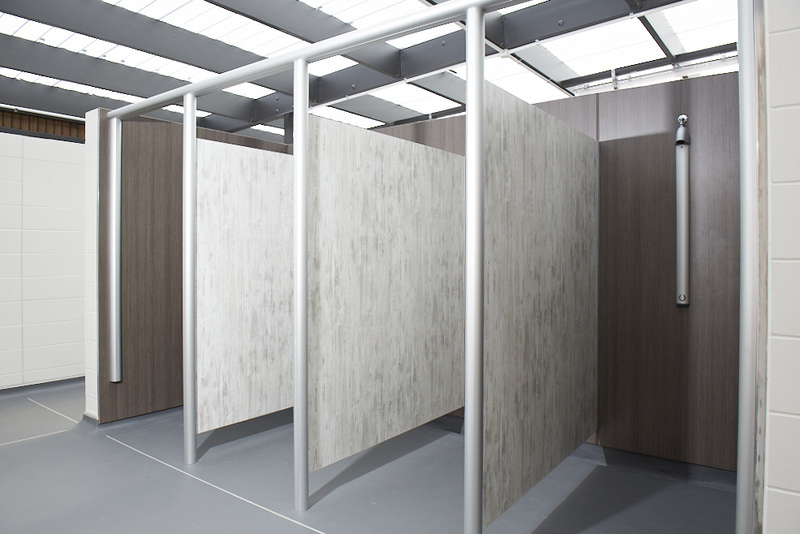 Resco’s Multicom wall lining system features the same strength and resistance characteristics of the Series 7000 partitions. It is adhesive-fixed directly to battens, with a vent strip at the bottom – no substrate required. Sheet sizes are a generous 2450 x 1850, reducing the number of aluminium jointers needed. Centre management strives to provide a clean and hygienic environment for the community. 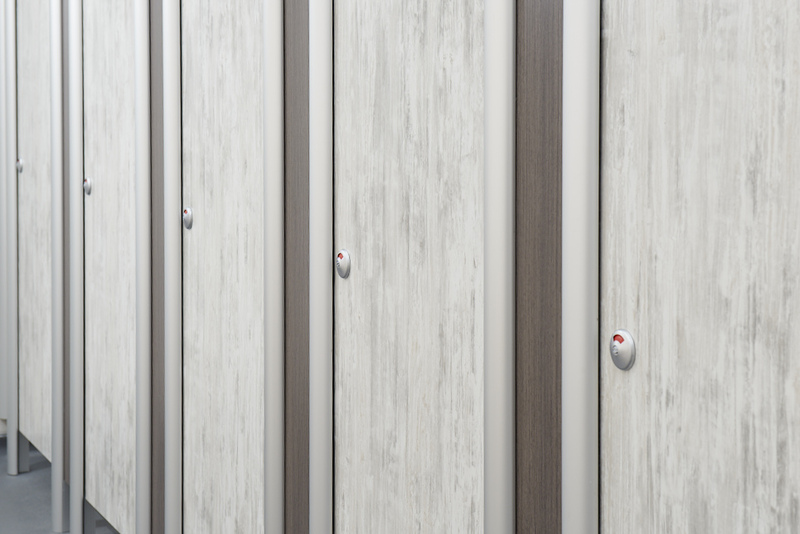 Resco panels contain Antibac, an innovative new bacteria-repelling compound that kills 99 percent of bacteria within two hours, over the lifetime of the panel. 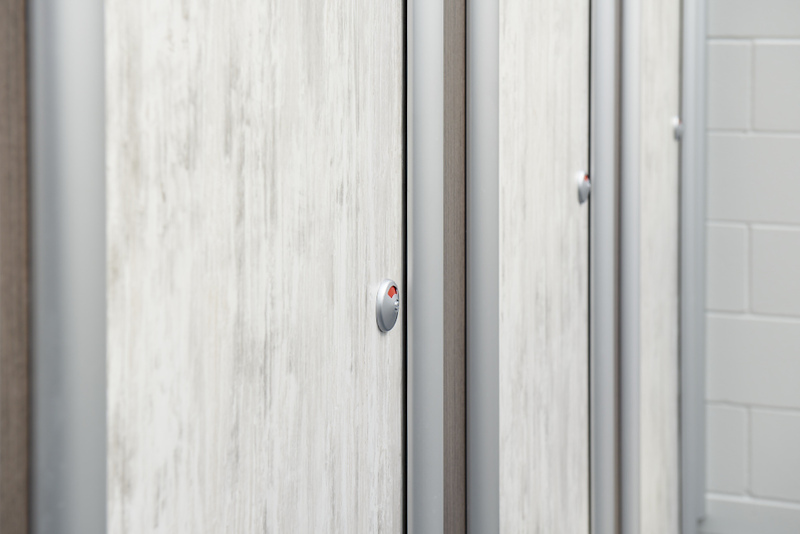 Resco Compact Laminate Panels are available in an extensive range of colours, are BRANZ appraised and carry a substantial 10-year guarantee.